EXID member Junghwa recently received a special coffee truck from her fans. The idol shared an image of her standing in front of it on her personal Instagram account on November 5, captioning the image: "LEGGO [EXID's fans] are awesome!" 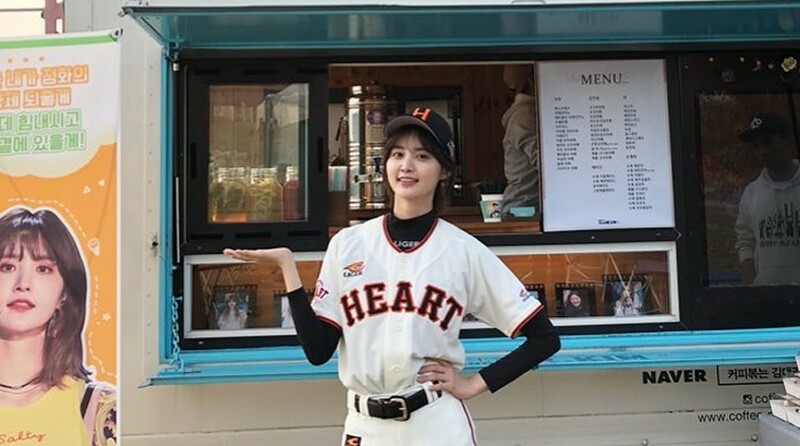 In the image, she's seen on the set of her baseball-themed web drama 'Member Of Society,' looking adorable in a baseball jersey as she stands in front of the coffee truck. The truck is adorned with banners from the fans both cheering Junghwa on and telling staff to treat her well. Check out Junghwa's Instagram post below!